Do you love the World Cup? Would you still love it if you knew that people were suffering because of it? In 2007, thousands were thrilled when Brazil won the bid for the 2014 World Cup. Brazil is known for its vibrant culture, friendly natives and all-star futbol team. The World Cup, like the Olympics (which will also be held in Brazil in summer 2016) is a global event where boundaries between countries and peoples are broken down – cultures, passions and excitement are shared surrounding a common interest. But, while the World Cup does bring nations together, it also has the potential to cause rifts within the host nation. In Brazil, tensions have been exacerbated between many groups of people and many have [fairly] criticized the government for spending exorbitant amounts of money ($13 billion – compared to South Africa’s $3.9 billion budget in 2010) on the games while so much of the country still lacks basic human services, such as education, healthcare, and access to clean water. I would like to highlight a specific area of contention between Brazil’s indigenous peoples and state institutions within the context of the World Cup. 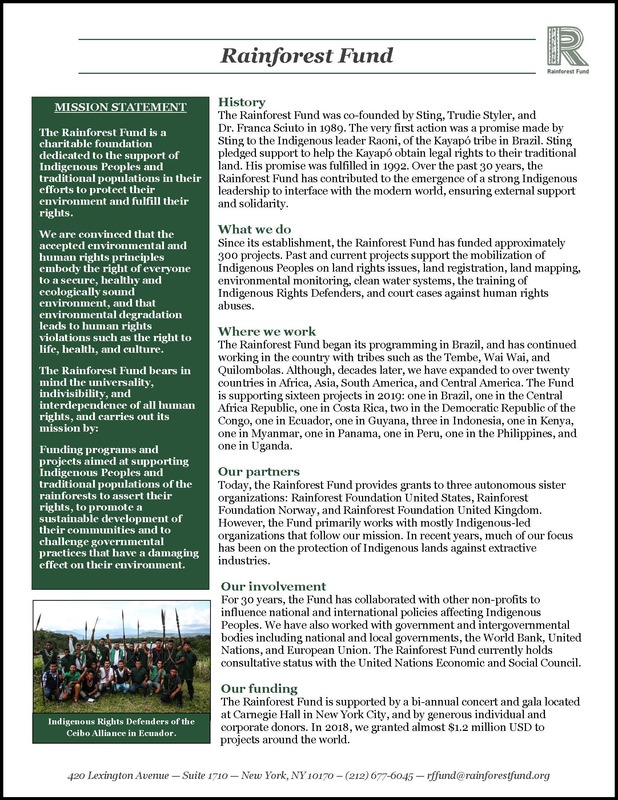 It is important to note that indigenous peoples have been fighting a longstanding and deep battle for the protection of their human rights and ancestral lands in Brazil – my intention here is to shed some light onto their struggles during a time when most of the attention is paid elsewhere: on the athletes, the games, the competition. Indigenous peoples have been negatively impacted by the construction of stadiums and related infrastructure in preparation for the Cup. 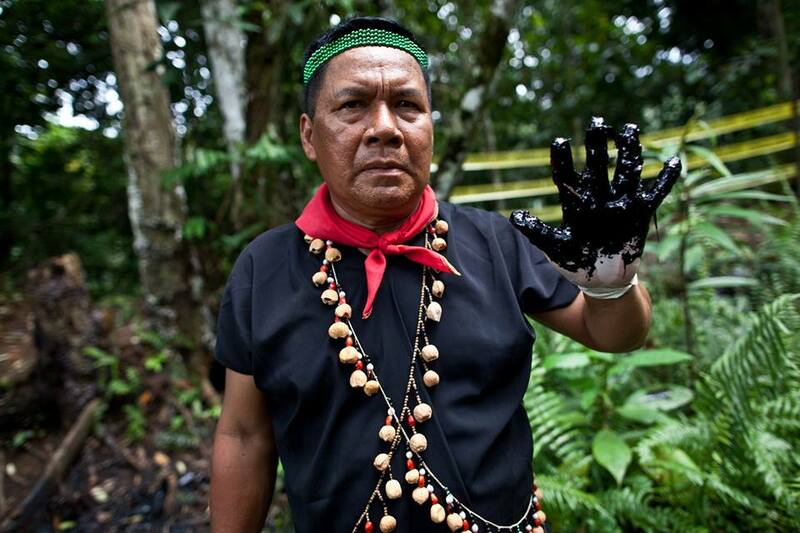 Their livelihoods have been threatened not only in the short-term, but in the long-term this infrastructure has the potential to catalyze further conflicts between indigenous people, loggers, miners, developers, etc. Since about 2006, a group of 70 indigenous peoples representing about twenty different tribes had been living in the abandoned Brazil Indian Museum in Rio de Janeiro near the famous Maracanã Stadium. Once Brazil won the bid for the World Cup, plans commenced for building new stadiums, reconstructing old ones, and adding more hotels and parking lots. Included in those plans was a ten thousand car parking lot in place of the Brazil Indian Museum. Indigenous peoples and their supporters resisted this plan for years: they hosted protests, communicated their hope that the site would be used as an Indian Cultural Center but were met by police dressed in riot gear who used pepper spray and tear gas against them. Shockingly, the governor of Rio, Sergio Cabral, referred to the proposed destruction of the Brazil Indian Museum by stating: “It’s being demanded by FIFA and the World Cup organizing committee. Long live democracy, but the building has no historical value. We’re going to tear it down.” Wait a minute. The building has no historical value? Says who? Certainly, for the indigenous peoples it does. In March, 2013, while communities were in negotiations with the government regarding the building and its use, they were forcibly evicted one early morning by local police using tear gas. Many indigenous people were hospitalized. The events surrounding the Brazil Indian Museum signal not only a lack of respect for one building in Rio and the indigenous group fighting for it, but it represents the broader lack of respect for indigenous peoples’ histories, cultures and safety. The government has prioritized hosting the World Cup over caring for its indigenous populations. Twelve futbol stadiums (compared to the usual eight) have been peppered all over Brazil, including in the Amazon city, Manaus. 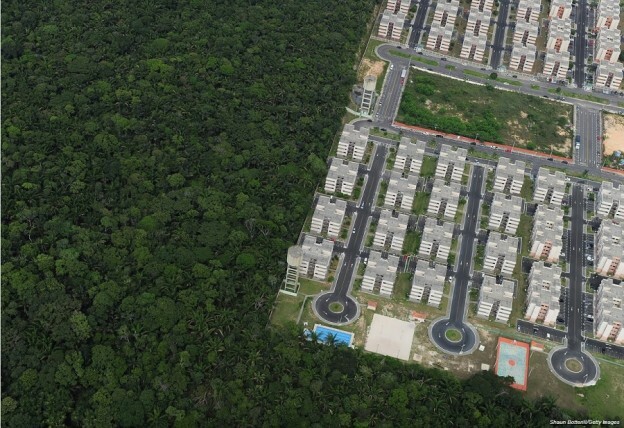 Building a stadium in Manaus – and others throughout the country – increases the likelihood of contact with isolated indigenous groups as well as opening the door for future conflict and disease as the infrastructure built and utilized to construct these stadiums extends access to previously remote areas. According to Survival International, the Kawahiva, one of the most threatened uncontacted tribes in the world lives about halfway between the Manaus and Cuiabá stadiums in the Matto Grosso state. Three other tribes live in the area, including the Nambiquara, Umutina and Pareci who have all suffered from disease, death and violence as development has encroached upon their lands for decades. Further, the costs (both financial and human) of building a stadium, specifically in Manaus, are difficult to justify not only because of [latent] threats to indigenous peoples, but because of its utter uselessness following the Cup. Jon Oliver’s brilliant skit (about the atrocities of FIFA) discusses the madness of building this stadium: not only were the materials needed to build the stadium shipped over from Portugal and up the Amazon River hundreds of miles by boat (the city is inaccessible by road), but the stadium is only used for four (out of 64) games in the whole World Cup. Manaus does not have a soccer team to utilize the stadium once the games are over – and Oliver’s quip that it will be the biggest bird house is not so funny after all. Brazil’s quest to host the World Cup and the Olympics is emblematic of a country that is seeking to advance both domestically and on the world stage: Brazil wants to show that it is strong and capable of great things. What good is it, though, if it is merely a perception? Building excessive numbers of stadiums, evicting people from their lands and homes (indigenous people have dealt with this and so too have thousands of others) and funding sports instead of human services where they are needed most are not qualities that define a world leader. I am not advocating for the end of the World Cup or having any fun. What I am advocating for are policies that take into consideration the huge portions of the population that tend to get left behind, struggling for survival. Maybe I’m idealistic, but I would think that in order to qualify for consideration of hosting the World Cup, a country should need to prove, according to rigid standards, that it can simultaneously fulfill its duty of protecting and meeting the needs of its people and also forging ahead with new projects, innovations, ideas and goals.